Marvel Studios and Kenneth Branagh: an unlikely cooperation come true with as endresult a production about the god of thunder, Thor. Well, what to say? Thor is your typical action-hero movie. Nothing special…except maybe Natalie Portman. Let me elaborate. The story starts after Thor gets banished by his daddy Odin because Thor set a war in motion with some creepy aliens. The son of Odin is sent to Earth and shortly discovered by the beautiful Jane Foster (Natalie Portman). The two ‘meet and greet’ and fill up the plot with some fun moments. However finally Thor needs to protect the Earth and preserve harmony. Thor has been constructed in the known Branagh-style. There are various allusions to Shakespeare’s Hamlet and Macbeth. For example relations within a powerful family, especially the father-son relation. This was way too boring to watch. Secondly the story does not appear to have any new original purpose. It’s all about saving Earth and keeping your honor, again. The only good thing about Thor was the outstanding acting by Natalie Portman. The way she shows her character comprehend a person like Thor is just good old fun and entertainment. She does it very convincingly. Fortunately enough, because Thor would have gotten an F instead. 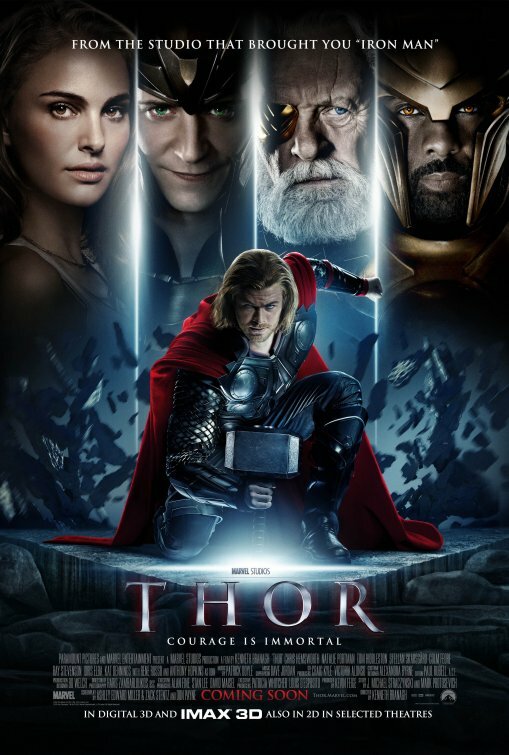 If you love to see the classic tale of a hero combined with some spectacular CGI then I recommend Thor to you. But if you are tired of this old crap, spend your time watching something else by Marvel Studios. Thor is undoubtedly one of the dullest Marvel movies ever made.